I’ve shared with you before that The Unknown Cook is in love with coffee. I don’t know. Maybe it is generational. My Grandmother loved coffee. My Mother loves coffee. I’m thinking its their fault that I feel it is absolutely necessary to drink it in the morning, afternoon, and at night. Heck! Even my 3-year old niece Abby likes to snag a sip whenever there is a fresh cup of Java near her. If she ever visits your house, keep your cup of coffee higher than 3 feet. She can’t reach it even on tip-toes! Yesterday was my coffee lover delight. It was a rainy start to the day. The clouds gave way to the sun only to cover it back up again. I felt like the sun and clouds were playing hide and seek. I sat looking out my office window. This day was going to be special whether is was rain or shine. This day was the delivery of my Valle Sagrado coffee from Cafe Britt. I’ve never wanted to see my friendly USPS mail delivery person so bad. Where in world is that little red white and blue Jeep? It was then 8:00 a.m. I know. I know! The mail person doesn’t deliver that early in these parts. That didn’t stop me from wishing that they were only 5 minutes away. Three hours and 53 minutes later, there was a rap upon the front door. I sprung from my chair as it spun around in circles. I jumped across the desk and was opening the door. There stood my friendly USPS person with a small box I was so happy to see. I grabbed the box and held it in my arms like a new-born child. Pulling the door shut, I rushed into the break room to my anxiously waiting coffee brewer. With my handy-dandy box cutter, I skillfully cut the seal of the box to access the contents. After throwing the packaging paper out the box like a kid on Christmas morning, there it was. My ground bag of Valle Sagrado was sitting there unharmed. I couldn’t wait for my nose to meet the aroma in this bag. I cut off the seal to the bag and went in nose first. Oh my! The smell was amazing! I’ve been around a lot of coffee in my lifetime. I think I’ve tried all the major domestic brands from local grocers. I’ve had great coffees in coffee shops all around. But nothing smelled quite like this coffee and I hadn’t even started brewing it yet. I set up the brewer and went back to my office awaiting the cycle to finish. Beautifully crafted Steam Engine! Photo courtesy of Big Foto. The robust aroma filled every corner of the office as the coffee brewer was sounding off like a steam engine train preparing to go down the railroad track. 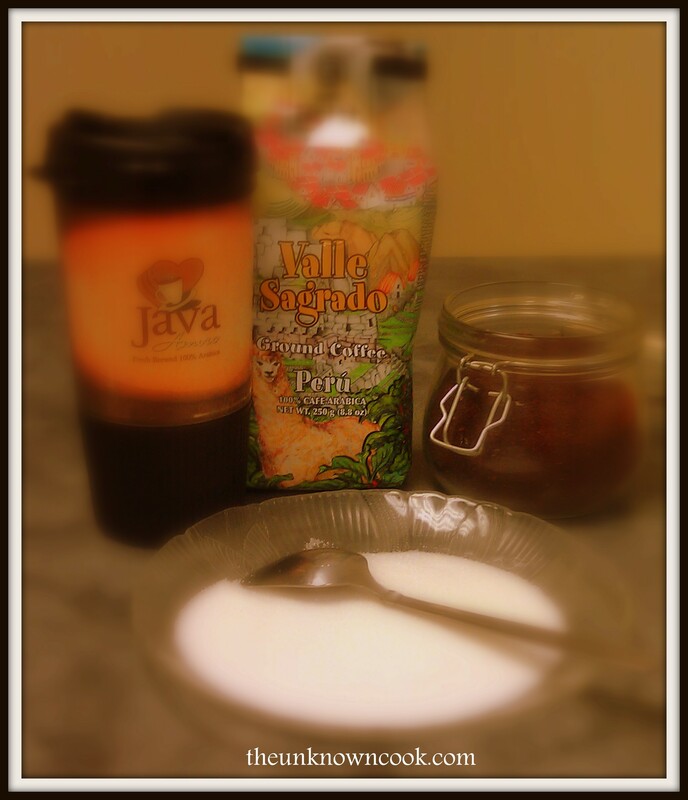 My favorite java mug was already prepared with the right amount of sugar and creamer. When the cycle finished, I sprung from my chair again and was pouring this pot of delightful goodness into my mug. A quick stir with a spoon to blend the creamer, sugar, and coffee together made way for my first taste experience of Valle Sagrado! Anxiously, I bring the mug to my lips as my nose forecast to my taste buds something great was about to happen. And great it was. My taste buds began to chant, “You got the right one baby!” The taste of this blend was far beyond my expectations. The flavor was well balanced and not overpowering as you might expect in some dark roasted blends. I’m telling you, I couldn’t be more satisfied with ordering this blend. Generally, I am a sharing kind of person. However, under the current circumstances, I’m not going to be able to share my Valle Sagrado with you. I have to insist that you get your very own bag. If you are the type coffee drinker that likes to grind your own beans, don’t worry, this blend comes in whole bean as well as pre-ground. I may not share my bag with you but I will share with you how I got mine. Head over to The UC Coffee Shop for Valle Sagrado and other great blends to suit your fancy. I’m pretty sure you will be just as excited as I was when your friendly USPS mail person arrives with your box. By the way, these blends are shipped straight from the plantation to your door step. A little patience is required. In the meantime, have a happy coffee day!